I'm back folks! It's been a long while since I posted on the blog, work was busy and I just didn't have much motivation. 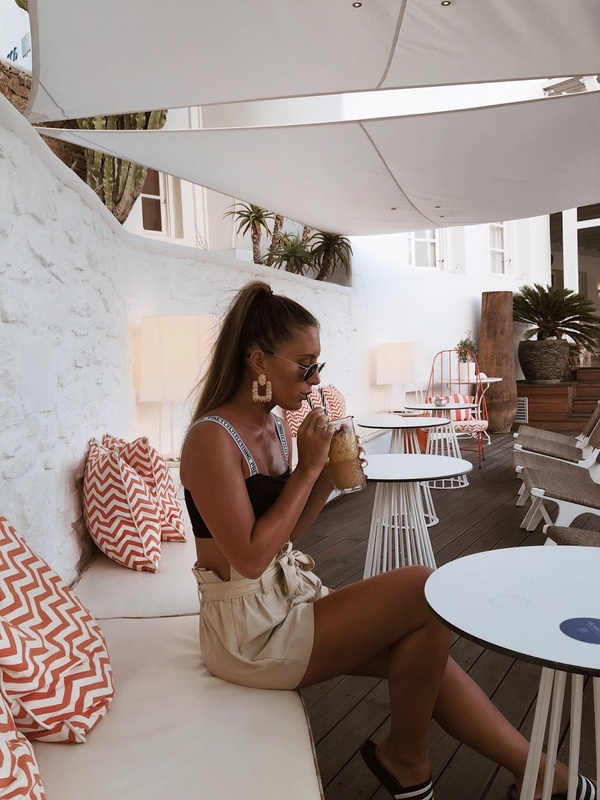 If you follow me on Instagram then you'll probably know that I was recently in Mykonos..because I haven't stopped going on about it, and probably won't any time soon either! But before I went I made an order (or three) on Pretty Little Thing and no word of a lie, I was literally obsessed with EVERYTHING. I hadn't ordered anything off their website for a while, but I feel like the quality of their pieces has improved so much that it has literally become my go-to online store (sorry ASOS). Anyway, I thought I would share some photos of one of my favourite outfits that I wore. This cute little bralet paired with the most gorgeous paperbag waist shorts were perfect for a warm evening in Mykonos, sipping cocktails and eating far too much food. Like I said in my previous post, 2018 is the year where I start to take care of myself a bit better. So, alongside my new skincare routine, I figured I better get myself back in the gym and get my diet back on track. As some of you may know Ryan and I got married in Greece in August last year. In total we were away for a month and it is safe to say I used the gym a whopping TWO times (and I wont lie, they were pretty poor attempts at best). I was too busy focusing on getting the perfect tan, with absolutely NO tan line of course, laughing and exploring with the people I love most and I figured that was okay. However, whilst I was away my gym membership at home ran out and when I got back home I started my new job..all of a sudden it was December, I was 1 stone heavier and I still hadn't re-joined a gym..let's just say my jeans were a bit snugger than preferred. So January's payday came and I couldn't get in the gym quick enough. To be honest I had forgotten how much I loved it. Last week I also started doing Yoga and I'm pretty sure I'm hooked on it already. I figured to get my diet back on track I needed to start having all my daily meals instead of not eating until 3pm and then scoffing my face on rubbish realising how hungry I was. But breakfast isn't always an easy one for me. Most days I have to be in work for 7.15am and I just can't stomach sitting down and eating breakfast that early in the morning.. partly because I don't feel hungry and partly because those 10-15 extra minutes in bed are far too important. I will check back in at the end of my first two weeks, but I'm pretty sure I've made up my mind about this product already.. now I just need to order more before this jar runs out! What are you doing this year to be the best version of you? If you're anything like me, then you've probably made a promise to yourself that this year, you're going to really start taking care of your skin. It's something that I say to myself all the time, but to be quite honest I find myself just reaching for a face wipe or micellar water more often than I'd like to admit and calling it a day, without a blob of moisturiser in sight. Luckily, with my new years resolution in mind, I was very kindly sent a box of Dermalogica products from Influenster to try out. The box included a Pre Cleanse Balm, Cleansing Gel, the new Daily Superfoliant and finally their Skin Smoothing Cream. First in the routine is the Pre Cleanse balm, which is honestly a game changer in itself! I've never used a balm before but I love this product and it's definitely my favourite out of all the products. 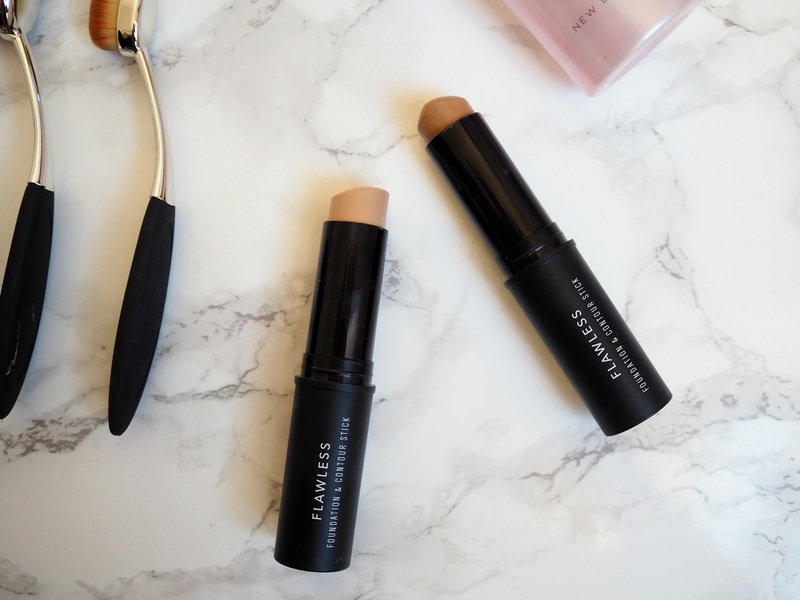 I've always liked using oil based products on my skin, and this balm does an amazing job a getting the bulk of my makeup off before the next steps. Oh, and I can't not mention the smell, it literally does smell like you're at the spa, which is always a welcome thing! This next step includes one of Dermalogica's newest products, the Daily Superfoliant. This product contains active charcoal, red algae and tara fruit extract to help purify your skin and it also claims to absorb environmental toxins from within your pores which are known to age your skin. Lastly is the Skin Smoothing Cream. This is a lovely thick cream which is perfect for leaving on overnight to soak in to your skin. Like the rest of the products it smells lovely, but isn't to heavily perfumed so it doesn't aggravate my skin at all. In the morning my skin honestly feels so soft and hydrated. I don't know about you guys but now that March is here I'm starting to get sooo excited for spring! With all the beautiful spring/summer pieces starting to sneak their way in to the shops it's the perfect time to start buying for the season that is (hopefully) just around the corner! First of all, I was so surprised at the size of the bag, it can literally fit everything in, including my camera without even looking bulky. Second of all is the quality of the bag, it's a gorgeous soft faux suede and the silver hard wear and detailing is stunning! I've worn this bag a few times now and I'm really impressed with it! The collection is available online now at the KoKo Couture website and they are also being stocked in Topshop so, keep your eyes pealed as the whole collection is totally gorgeous! What are your favourite spring/summer items? 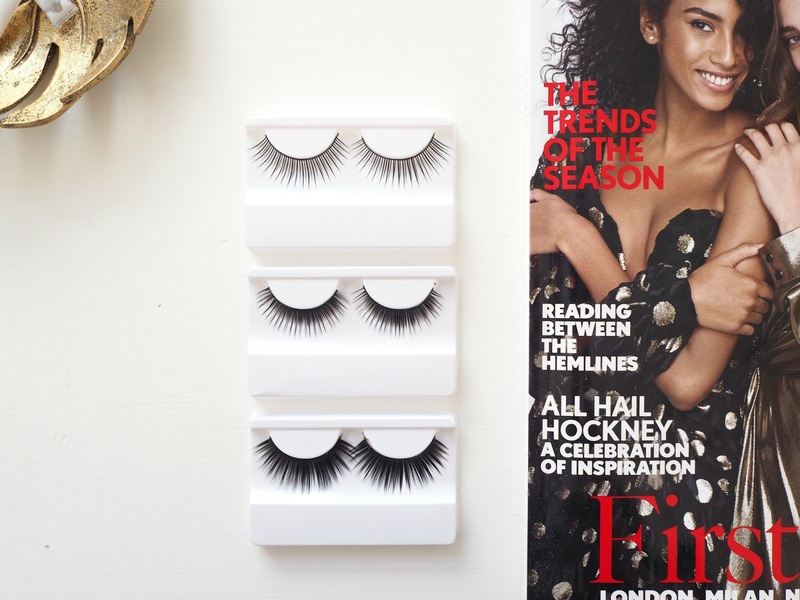 Next up I tried the Emiloo lashes, which I think are my favourite! 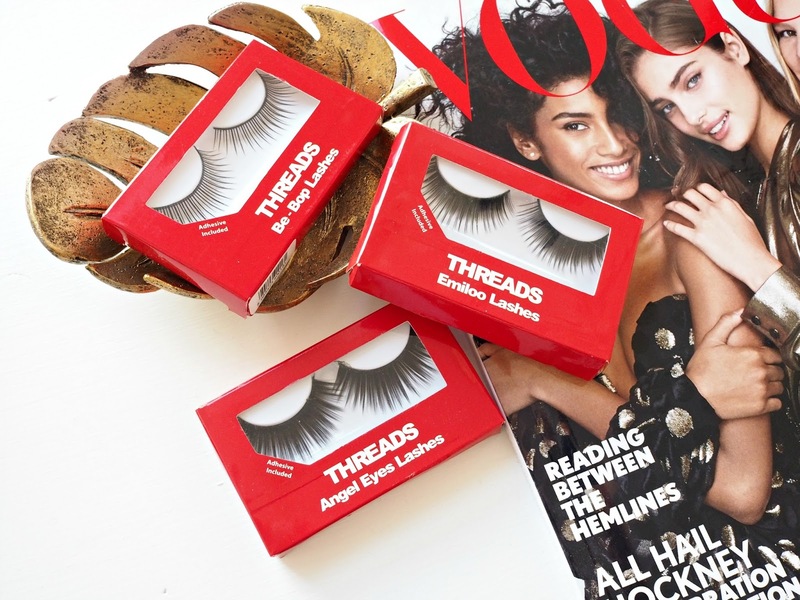 Overall I'm really impressed with these lashes, there are lots of different styles to choose from which means you can create whichever eye look you're after. 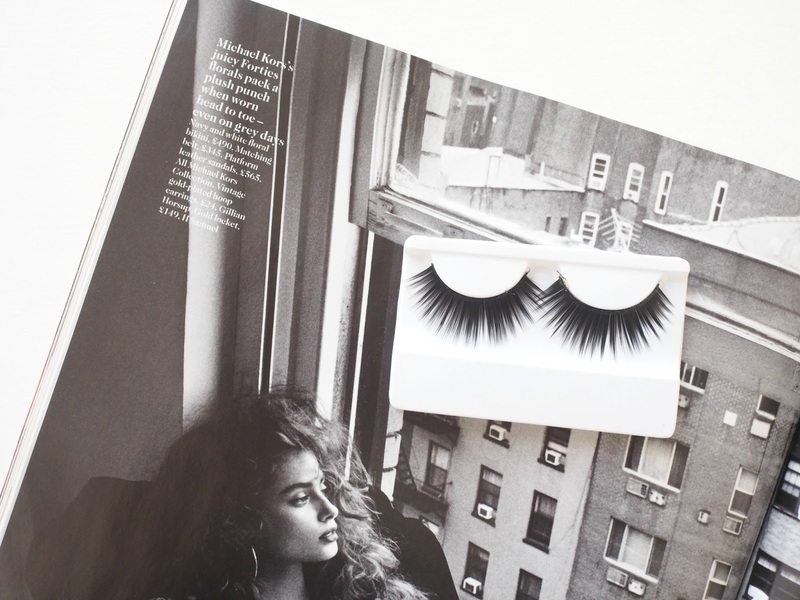 The adhesive glue that comes with them is great too, personally it reminded me of the Duo Lash glue which is one of my favourites as it's so long lasting! 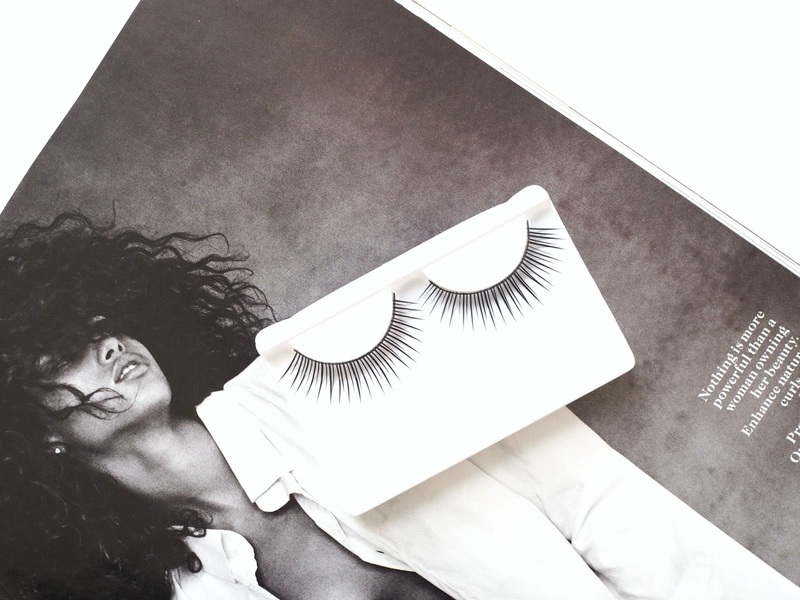 The lash bands are quite long so you can cut them to fit should you wish. I applied the lashes wearing liquid eyeliner because I always wear eyeliner if I'm wearing falsies - I just haven't mastered putting them on without eyeliner yet, I swear it's impossible?! 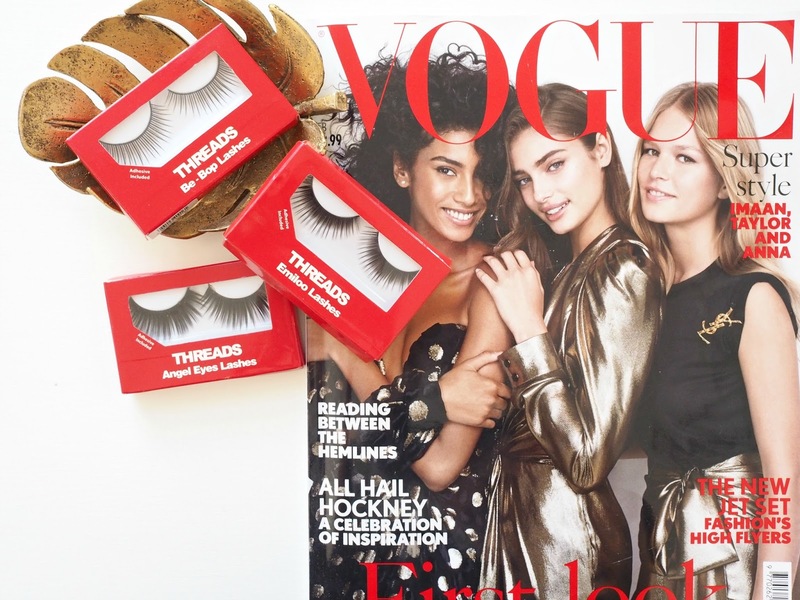 Have you tried out the Threads Beauty eyelashes yet? 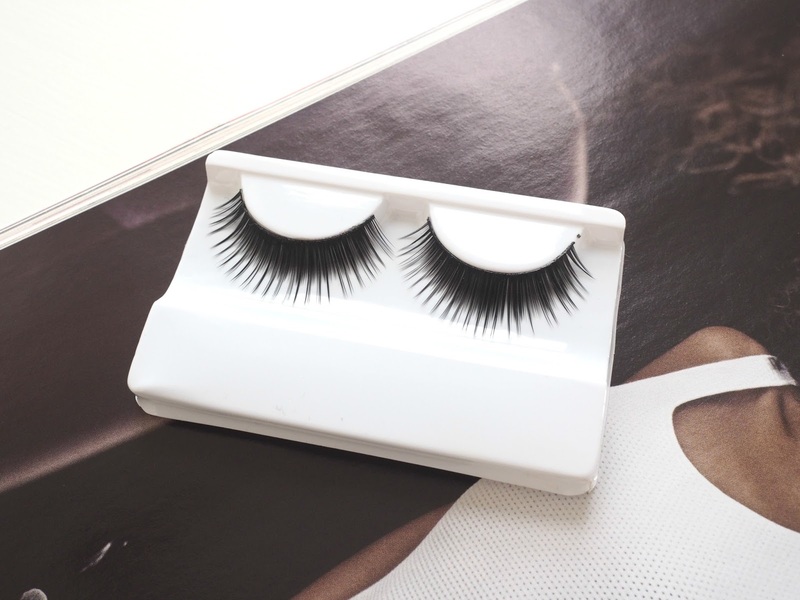 Which is your favourite brand for false eyelashes? Last month I was walking through New Look when I noticed that our store had started to stock the revamped New Look beauty range so, of course, I got ridiculously excited. I decided to pick up the 4 Pack Oval Brush Set. 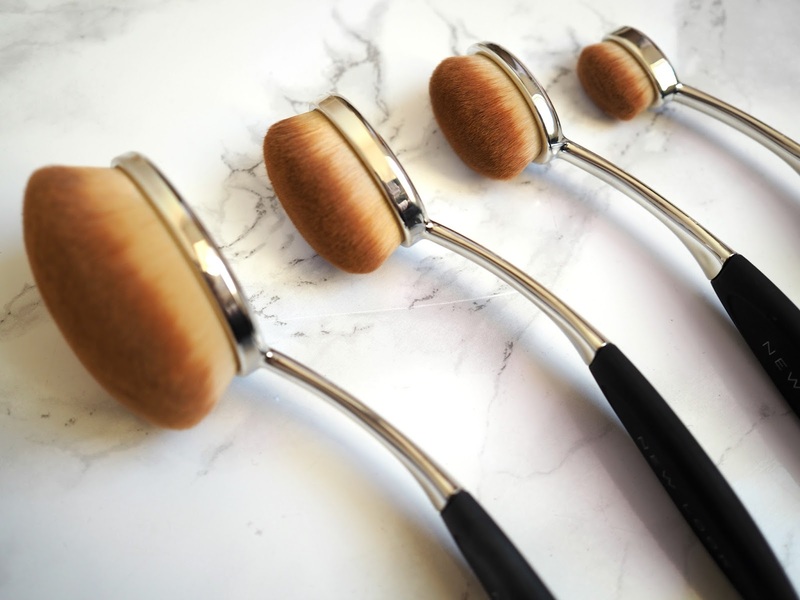 After seeing similar brushes being raved about by a whole bunch of beauty bloggers and knowing that these brushes can be preeeetty expensive I was suprised to find out that this set of 4 cost only £19.99! Basically, it would have been rude not to try them. The Oval Brush Set contains a large foundation brush, a bronzer/blusher brush, a contour brush and a concealer brush. I love the style of them with the black handle and silver hardware, personally I think they look a lot more expensive than they are. 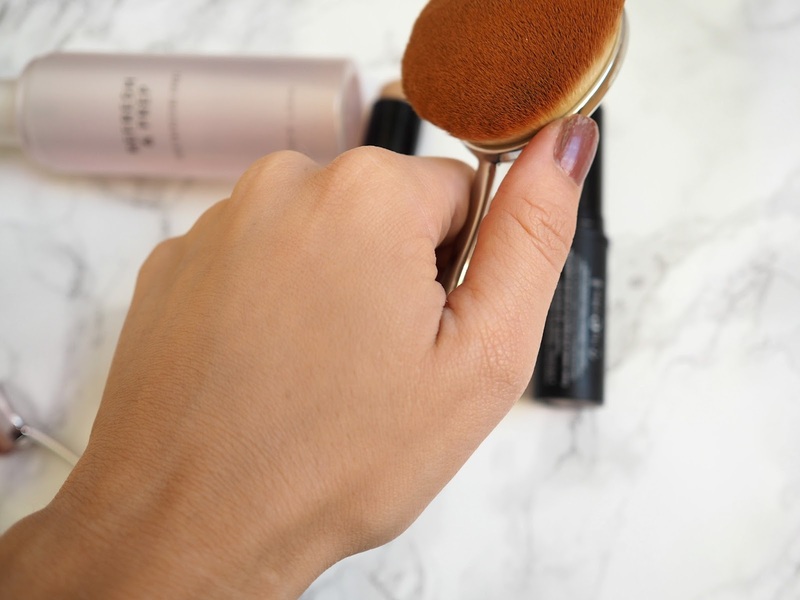 My only fault would be that the handle is a little flimsy, but I tend to automatically hold the oval rather than the brush anyway as I find it a more comfortable and easy way to control the application of foundation. 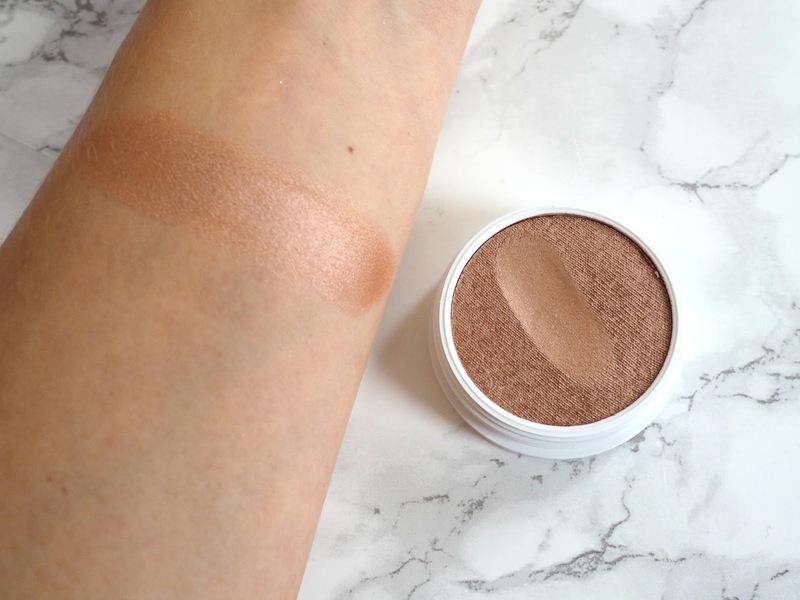 The Chocolate shade I was using to cream contour is also really impressive! 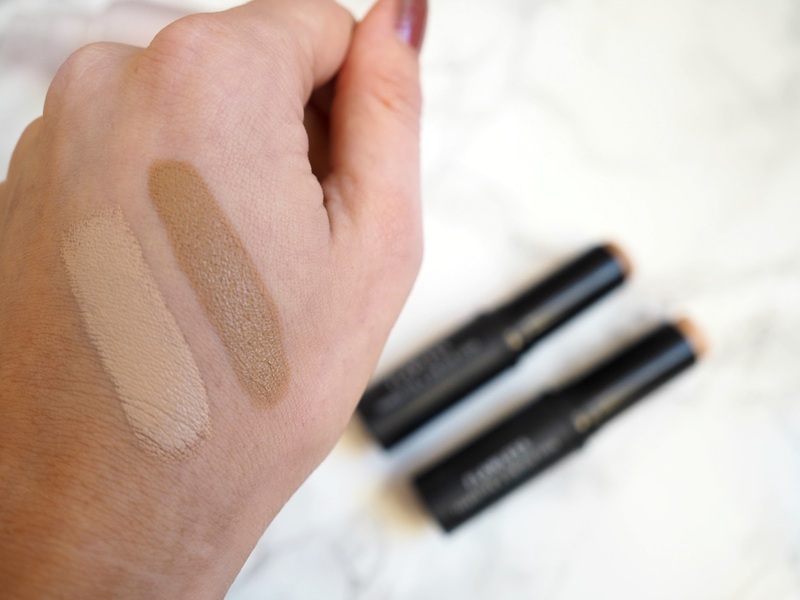 It's the perfect shade for my skin tone and again blends really nicely into the foundation so you don't end up with any harsh lines. 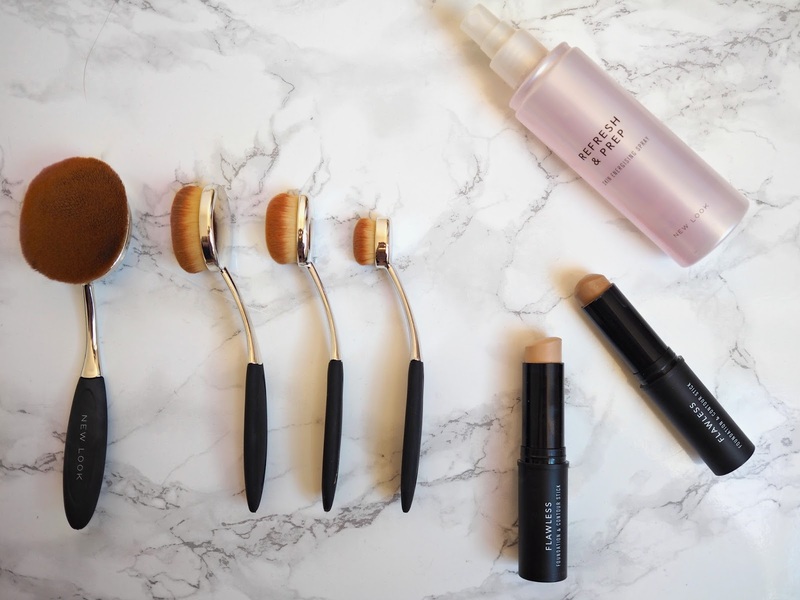 Overall I've been really impressed with the New Look beauty products that I have tried so far. The brushes are super soft and apply the foundation really well without eating up all the product. PLUS (big plus) none of the hairs in the brush fall out, which is what I was expecting given the price of the set! I will definitely be picking up more products from the range soon as I have been pleasantly surprised with these ones! Have you tried any products from the latest New Look beauty range yet? 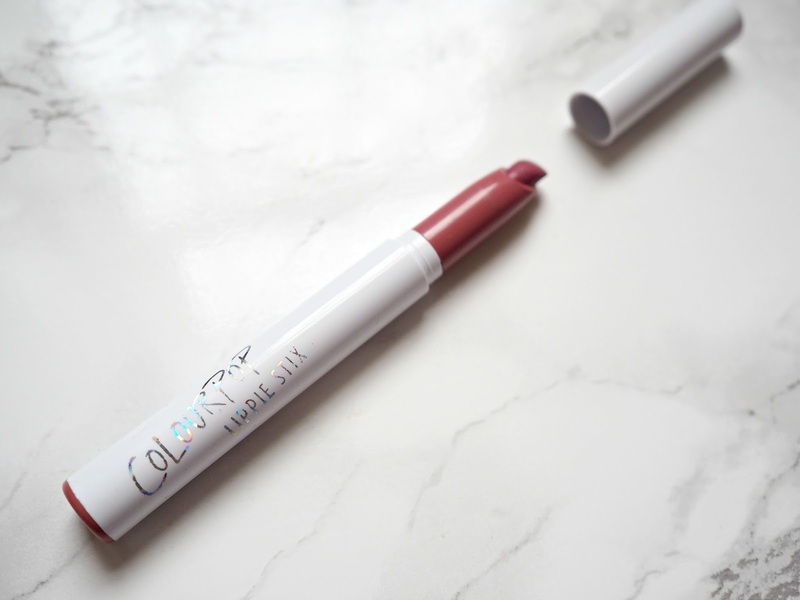 ColourPop Cosmetics was one of those brands I had been wanting to try for a long time! When they advertised that they were doing free international shipping (which is available for the rest of this year!) I couldn't help but treat myself to some of their products. When I first swatched these I wasn't sure what to expect. 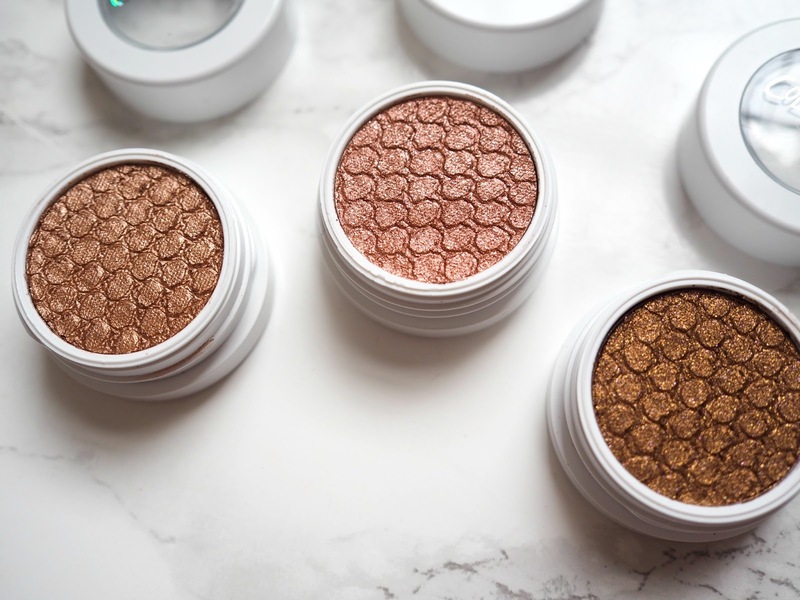 Although they're hyped about A LOT across the beauty blogger realm, I was a little sceptic purely because of the price point which is just $6.00 each! But there is a very good reason why people have been shouting from the rooftops about these, because they really are amazing. The colour pay off is perfect, they do not go streaky and they do not budge - trust me, I literally had to scrub my arm with all sorts and it still left a mark! Another great thing about the Ultra Matte Lips is that they aren't too drying and they don't crumble or transfer at all. 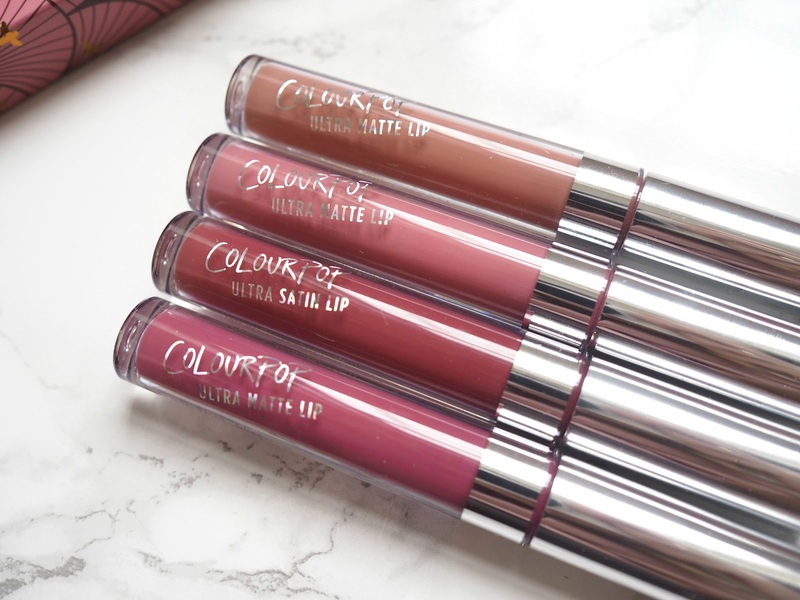 Basically they are an all around great product and I think I need more..
Next is the Lippie Stix pen, you can see in the picture above how amazing colour is, and this product is so creamy and easy to apply. 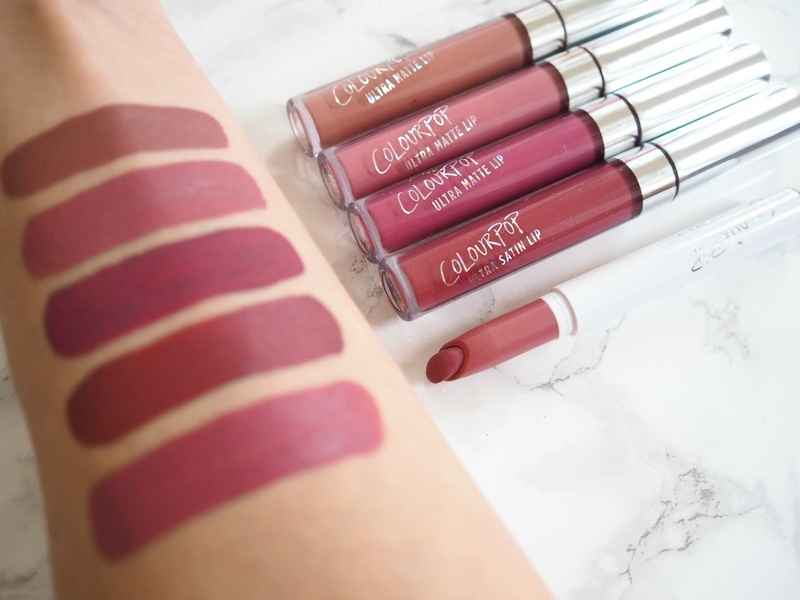 The colour lasts well but it does transfer a little when eating/drinking, but that isn't something that bothers me, especially when the Lippie Stix sell for just $5.00! 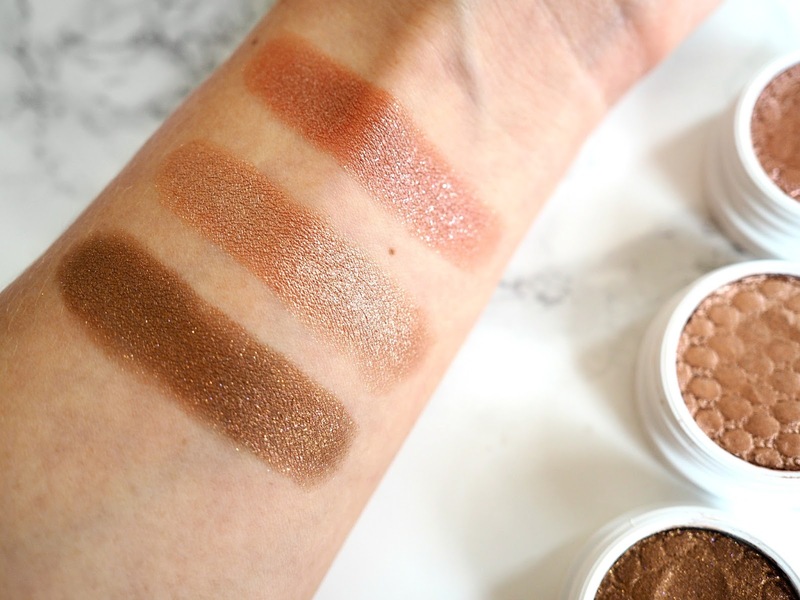 Again the colour pay off is incredible with these little beauties, the texture is so creamy and they're really easy to work with as they blend like a dream! The same can be said for the highlight. I went for something with a gold undertone as I didn't have one like this yet, and I'm definitely glad that I did. This one is called Butterfly Beach, it's quite subtle as it isn't filled with glitter so it's definitely something that you can wear day to day but you can also build it up by adding a powder highlight over the top! Finally I tried out the eyebrow pencil in the shade Taupe. It's a retractable pencil with a spoolie at the other end which is always a winner! I picked this up for when I'm at work - I love my ABH Dipbrow Pomade but it's a little much for work! 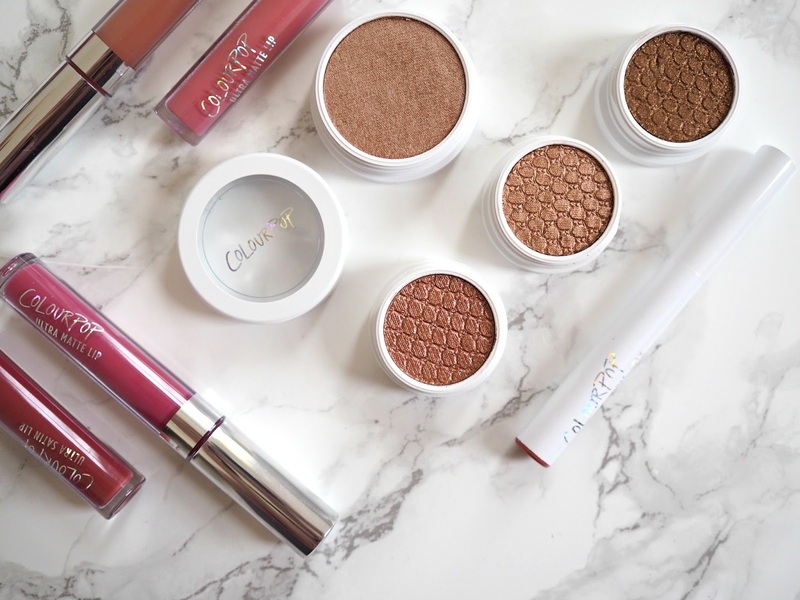 Have you tried any products from ColourPop yet? I think I might need to pick up a few more products, I've got my eyes on the Just Peachy Ultra Matte Lip set!